BRYAN EATON/Staff Photo. 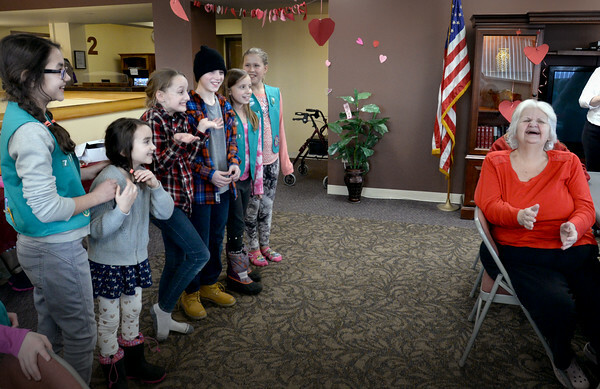 Joanna McLaughlin laughs with joy as members of Newburyport Girl Scout Troop 78171 sing "You Are My Sunshine" to residents of Heritage Towers on Low Street yesterday afternoon. They were putting on a Valentine's party for the residents while singing other songs and providing them with refreshments for community service.